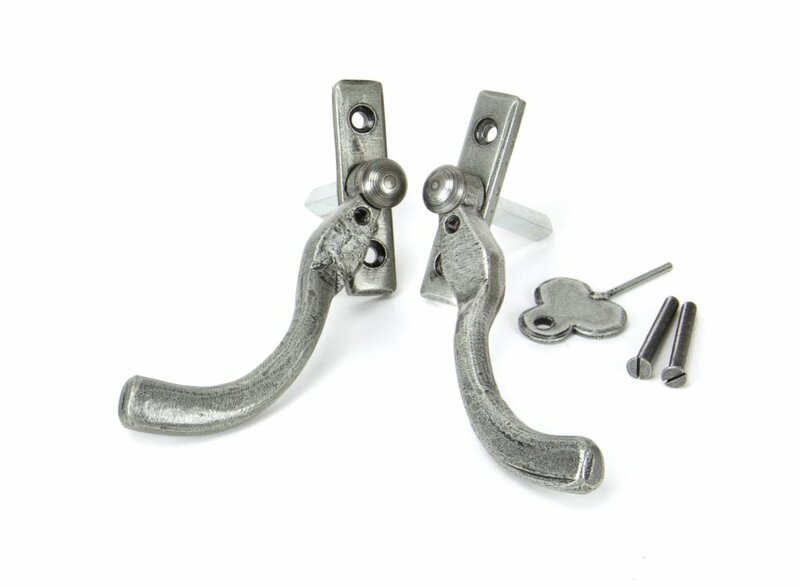 Our range of peardrop espagnolette fasteners offer a sleek but traditional looking product with the benefits of a modern and secure configuration. Our pewter finish is elegant and beautifully highlights the texture of the steel. The unique and complex process runs deep into the metal resulting in an unmatched contrast of texture and colour. 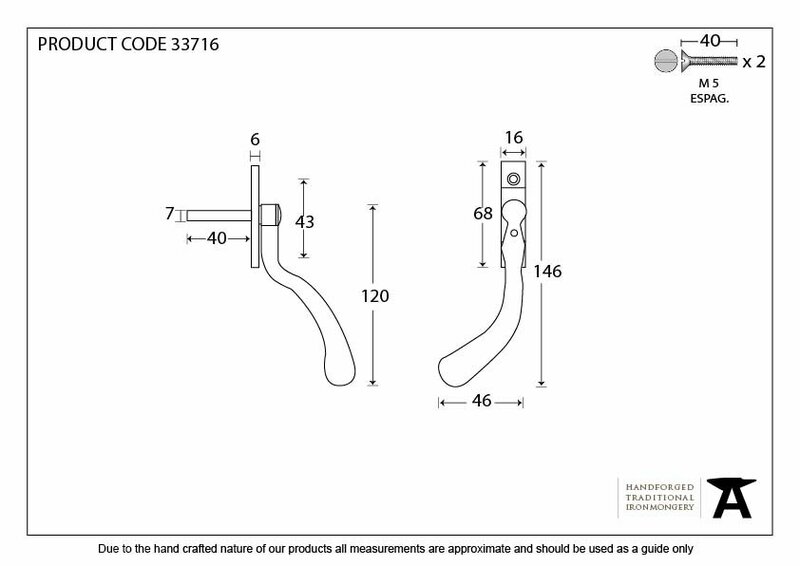 Designed to fit any type of window, including uPVC and timber due to its slim fixing plate. Can be matched with the peardrop stays and door handles in the range. 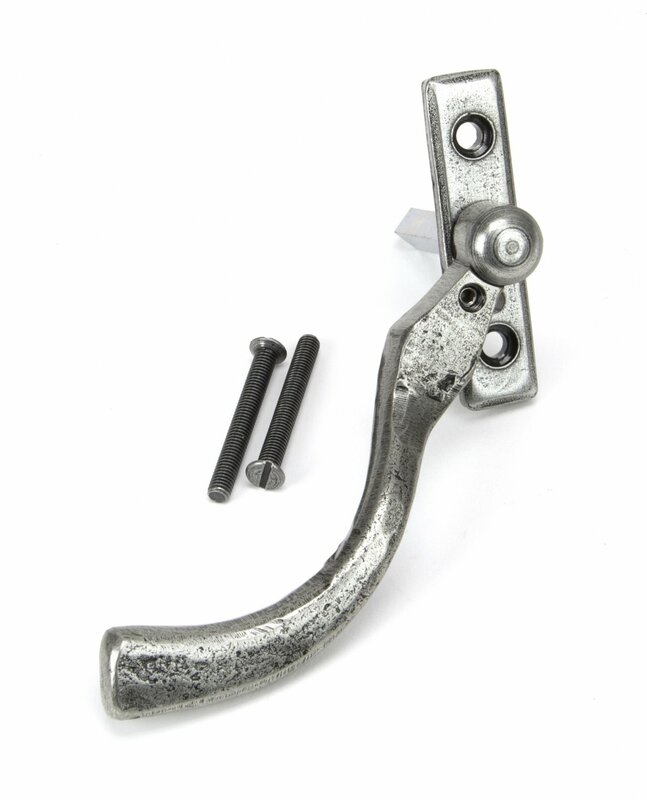 The handle is cranked forwards to ensure this protrudes far enough from the window for ease of use. The product is handed and therefore care needs to be taken when choosing the correct hand. From the inside view, if your window is hinged on the left then a left-hand fastener is required. They have a 7mm² x 40mm spindle and can be locked by way of a grub screw. Can be used with an espagnolette gearbox & window lock. Supplied with matching M5 screws.